The Muppet Theater is Finally Open! After many days of waiting the grand finale is finally here on the island! 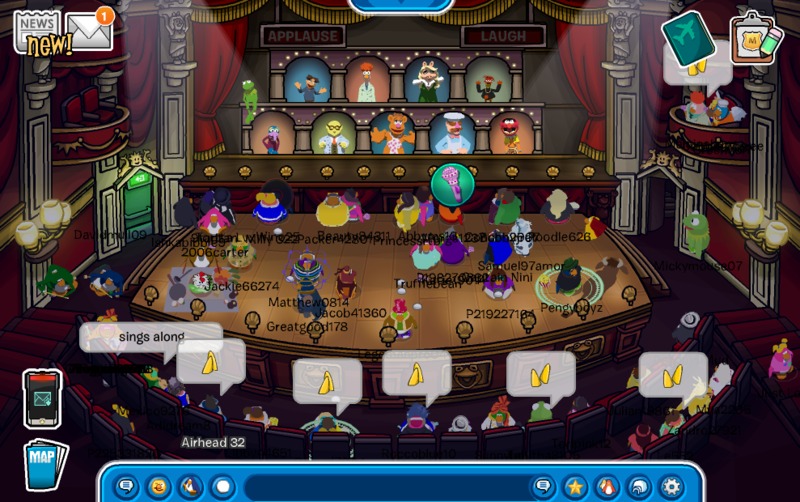 You can go and watch the grand finale at the Muppet Theater which is located at the Plaza! 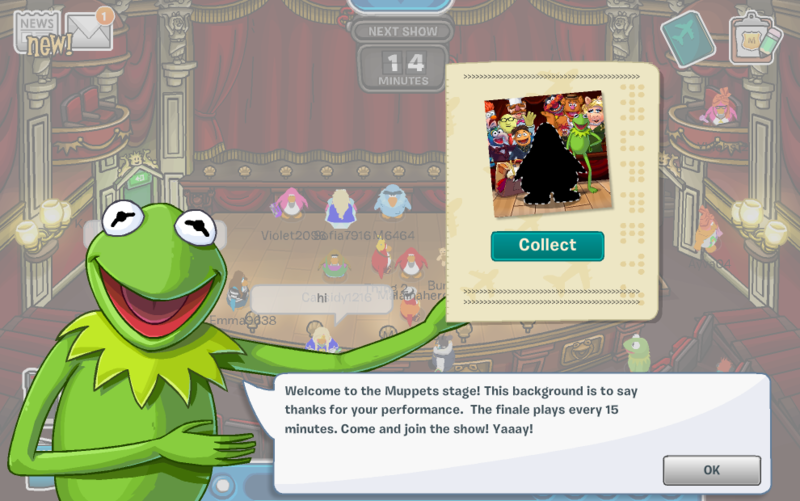 When you first enter the theater Kermit will welcome you and give you a free background. At the top of the screen there will be a timer and it tells you how many minutes before the next show starts! Don't forget to clap by using the clapping emoticon.